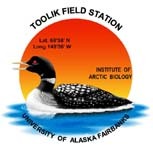 » Light profile data set for NSF Photochemistry project on the North Slope of Alaska. Light profiles in the water column of streams and lakes were measured as irradiance with depth using a compact optical profiling system (C-OPS; Biospherical, Inc.). All profiles were collected between 09:00-14:00 local time (Alaska Standard Time). A dark profile was collected before all light profiles by leaving the cover on the COPS and taking measurements above the water column. Following collection of the dark profile, the depth was tared to zero m by placing the C-OPS into the water with the sensor just above the surface of the water and tarring to "0 m" in the software. An aircast at the water surface was collected for 15-20 seconds before deploying the C-OPS into the water column where it collected irradiance data with depth as it descenced through the water column. During the descent pitch and roll were monitored to remain within +/- 5 degrees.